When addiction is in the driver’s seat, you can never be 100% available for life and work. Knowing what to expect from executive alcohol treatment centers may help to dismantle some of the barriers to recovery. Comprehensive treatment offers privacy and luxury, respect and dignity, balance, and ongoing support. It isn’t something you planned for, but it’s something real that you face now. The unexpected happens all the time in business, and you deal with it. In this case, the problem of alcoholism is one you have to work through before you can move onto other responsibilities. You might be thinking, I can’t afford to take the time out for this kind of detour; but the truth is that you can’t afford not to. The risks and complications of addictive patterns—for your health, your relationships, and your career success—are too great. When your drinking is out of your control, the next best step is to call on someone who can help you regain that control. Alcoholism is very rarely a disorder that one can handle on their own. Especially under the various pressures you may face in work and in life and with the influence of drinking happening around you—perhaps with coworkers or clients—you’re not going to solve the problem under the same conditions in which it developed. Executive alcohol treatment centers exist for the purpose of offering an ideal alternative environment for you to begin your rehab recovery journey efficiently in a private, luxurious setting with the guidance of clinicians and therapists who respect your personal needs and professional priorities. When you’re building a quality life without addiction, you’re not going to want to skip steps or cut corners. Treatment might take time out of your normal routines, but it is a worthwhile investment if it means you can once again manage your life the way you really want to. The possibilities in recovery are too valuable to pass up. The first step, once you’ve said “yes” to executive alcohol treatment, is to rid your body of the substance so you can build on a clean and solid foundation. At a private alcohol rehab center, medically supervised detox prioritizes safety and comfort together. Alcohol withdrawal symptoms can be severe, and unlike detox from home, inpatient detox is supervised by medical professionals who can help ease your symptoms and prepare you for the next steps, so you don’t skip a beat on your recovery journey. What follows will be a combination of therapeutic activities that make up your individualized care program. This may include medication management; personalized psychotherapy; holistic healing modalities, such as yoga, guided exercise, massage, meditation, and acupuncture; peer support groups; family support to the extent that you choose; and post-treatment support systems. If you have a co-occurring disorder, rest assured that top executive alcohol treatment centers can offer comprehensive support and integrated treatment for an integrated life of sobriety over the long term. In some cases, co-occurring disorders can make the recovery journey more challenging, but professional treatment programs are prepared to guide you through successful dual diagnosis treatment, giving you the tools and confidence to manage your recovery even after the program ends and in the midst of everyday stressors. Through your treatment journey, you’ll be able to keep track of measurable goals for your health and healing, so you’ll be ready to hit the ground running on the other side of treatment. Working to shed an addiction and rebuild a life of sobriety is a major challenge, but it is anything but a punishment. In fact, it is one of the greatest services you can do for yourself. In executive treatment centers, the goal is to support you holistically in this positive endeavor. Since you’ll be working hard to focus on healing, staff will be working to ensure your comfort for the duration of your stay. Private accommodations are available, and all rooms are designed with serene comfort and luxury in mind. You’ll be inspired to slow down as you focus on what’s most important, to take deeper breaths, and stop to enjoy the natural beauty around you. You’ll have access to personal space for when you feel the need to retreat and recharge from therapy and group work. And an on-site executive chef will design gourmet meals and snacks to keep you feeling nourished and energized. Of course, residential treatment is about so much more than creature comforts, and you’ll find that the high ratio of staff to clients also means that the quality of evidence-based treatment is far and above your best opportunity for lasting recovery. 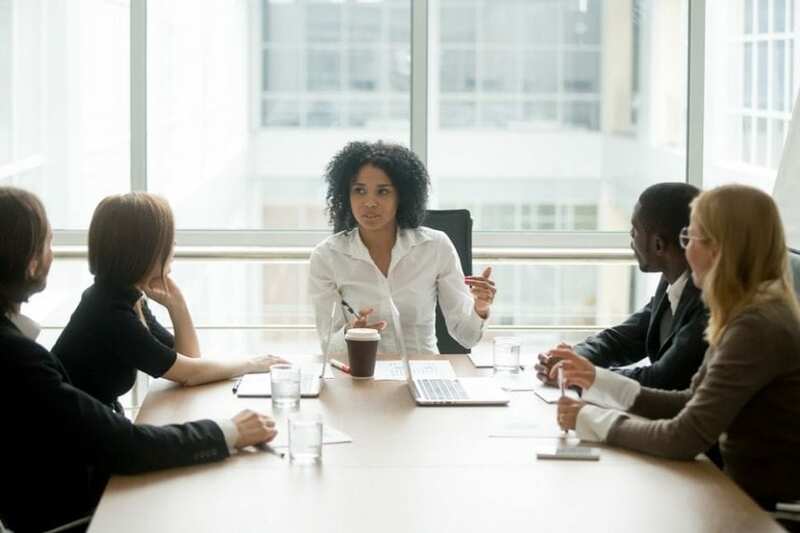 The issue of confidentiality can be a serious deterrent for people to even seek treatment for alcohol addiction, and this is especially true for executives and others in high-profile positions. But the assumptions that participation will inevitably threaten your position or scar your reputation are false; the law secures your job and executive alcohol treatment centers are thoroughly equipped to safeguard your privacy according to HIPAA policies and more. Private alcohol rehab supports immersive recovery because you can relax in the secure setting and because so many common stressors are left outside. You can focus more fully on being in the moment and make the most of your time in treatment out of the public eye. You can opt for private accommodations if it would enhance your recovery experience. And you will participate in a welcoming community that shares your respect and desire for confidentiality. When you enter executive treatment for alcoholism, you are not held against your will. Your voice matters immensely for the course of your treatment and the collaborative processes of recovery. You are treated as a member of the community—within a community of other professionals interested in sharing respect and productive ideas for lifelong success in sobriety. Executive treatment centers also appreciate that you may not be able to leave all of your work responsibilities behind for the entire time you are in the program. Your schedule can be designed to accommodate your need to stay connected with work while also maintaining progress through treatment. Perhaps it has been a long time since you felt productive balance in your life. Executive alcohol rehab is a setting designed to facilitate that balance from the start, with attention to health and fitness, work and productivity, spirituality, and addiction treatment all working together. Rather than thinking of treatment as time out of life and responsibilities, think of it as an even more complete commitment to life and to the responsibilities you have to yourself. Remember what productive self-care looks like alongside the usual work-life demands so you can sustain this healthy balance and a comprehensive approach to lifelong recovery. Treatment for alcoholism isn’t just about taking the substance away; it’s about developing resiliency. Resiliency is the ability to engage with joys and with challenges. It is the ability to keep taking steps forward, even if in the midst of steps backward. And it has elements of independence as well as elements of interdependence. After all, it is unlikely that you can overcome addiction and maintain a path of recovery entirely on your own. Being able to lean on and learn from others is a strong and sometimes difficult skill. In the context of addiction treatment, others will also benefit from your input and your examples of strength and authenticity. One of the most important things that residential treatment can teach you is how available help really is and exactly how you can find it. This includes reliable support among your family and friends, as well as ongoing support from clinicians and professionals in psychology as you evolve during your recovery journey. It will also help you to discover and awaken your own inner support system that will persist as long as you dedicate the proper care to your balanced health and happiness.